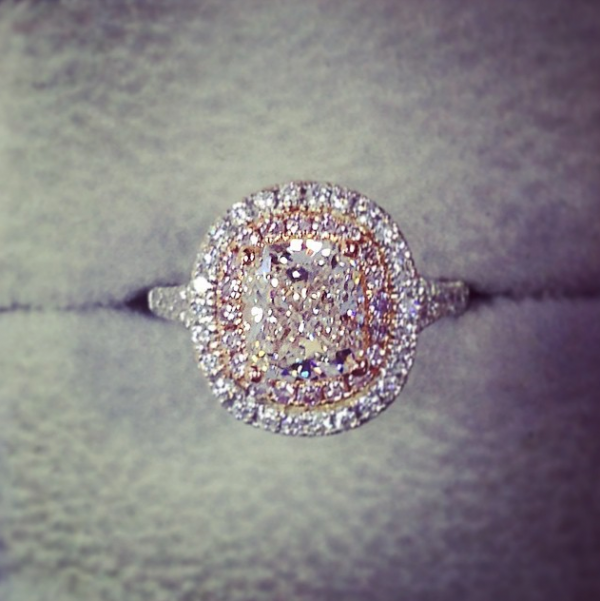 Home » Blog » How Much Does An Engagement Ring Cost? Our customers are all looking for the perfect ring for themselves or their partner and while they often have a good idea of what they are after, they do not always know how much different diamonds and rings actually cost. We hope this post sheds some light on pricing for engagement rings and diamonds to help you choose a ring you will love that also fits comfortably within your price point. 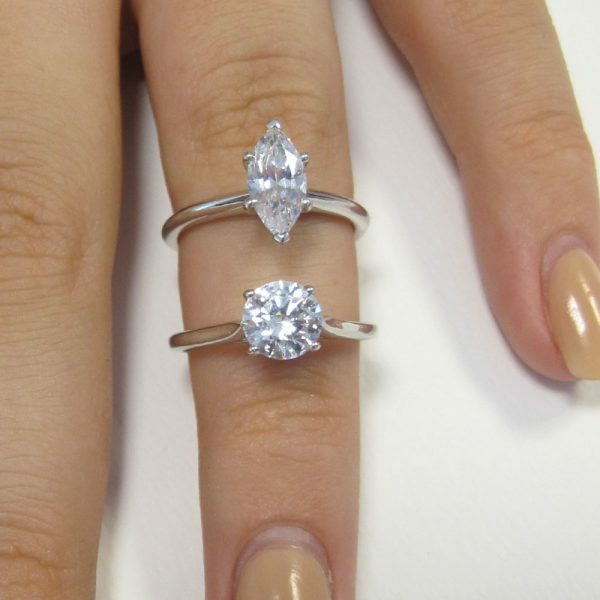 Before we dive in, it is worth mentioning that at Taylor & Hart, our collection engagement rings start at around £700 (for a 0.30ct diamond – see how large a 0.30ct is here), while our bespoke, custom designed rings start in the region of £1,500 with a similar sized diamond or larger gemstone. 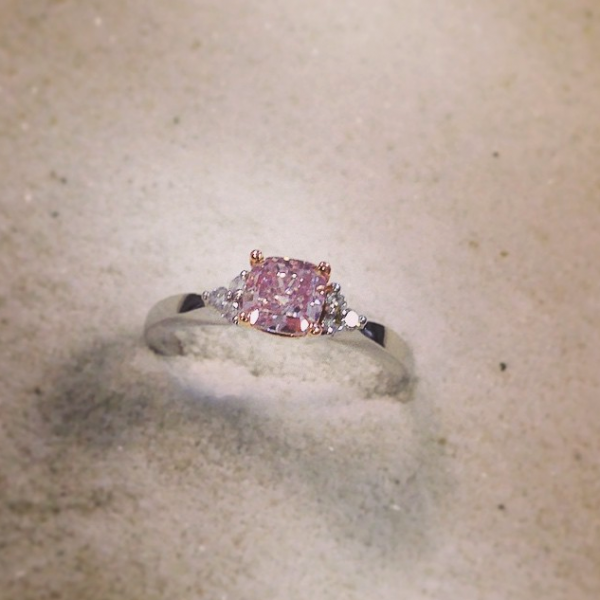 On average, our engagement rings are priced at around £3,000 and we have made rings that are priced at over £50,000. The main points to consider that will affect the price of an engagement ring are the type of diamond or gemstone and its carat weight as this will often affect around 80% of the ring’s value. What carat weight should I go for? Diamond’s carat weight refers to the weight of a diamond, not its size. A one carat diamond simply means 0.2 grams of diamond. 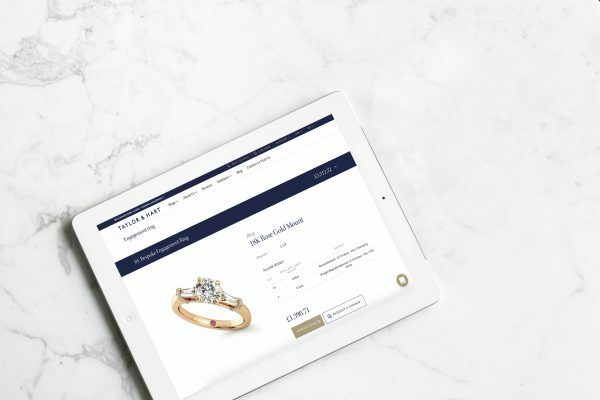 You can browse through over 100,000 diamonds on our diamond search tool to discover how much different types of diamonds retail for. You will notice that as well as carat weight, the shape, colour, cut and clarity will also affect a diamond’s price. We recommend an Excellent cut, G or H coloured diamond with a VS1 or VS2 clarity as a great value for money option. 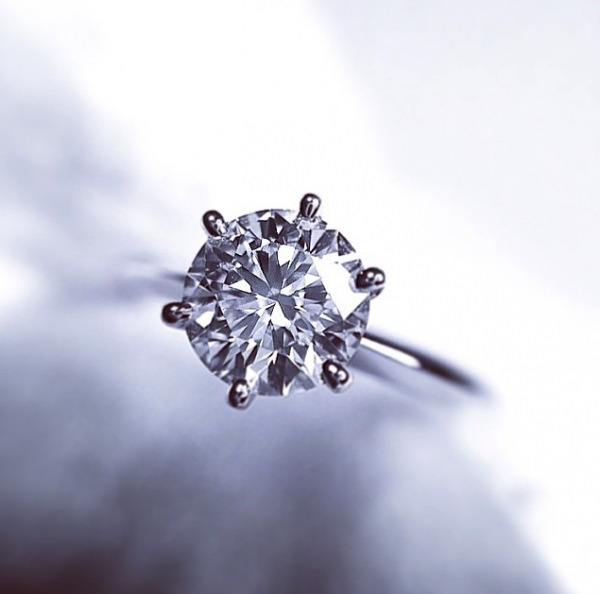 Round diamond or a different shape? If you are keen to stick to a strict budget, it is worth noting that diamonds of the same carat weight, but of a different shape will be priced differently. Round diamonds carry a premium over other shapes like the cushion, oval and princess cut, so choosing a fancy shape will often provide you with better value than choosing a round diamond. Elongated diamond shapes like the marquise (as pictured), oval- and emerald-cut often seem larger in appearance and are also more affordable than round shaped diamonds. A one carat I colour SI1 round diamond is currently retailing for around £5,220 compared to a 1ct oval shape with the same cut, colour and clarity, retailing for around £4,235 (an almost £1,000 saving for the same carat weight). If you are looking for a coloured diamond (pink, yellow or blue) or gemstone, we offer all of these options and below we discuss how they are priced. Engagement rings with a pink centre diamond start from around £10,000 (this price is from around £4,000 for a yellow centre diamond). We recently crafted this ring with a 0.7 carat fancy intense cushion cut pink diamond which retailed for over £50,000, demonstrating the value and scarcity of pink diamonds. 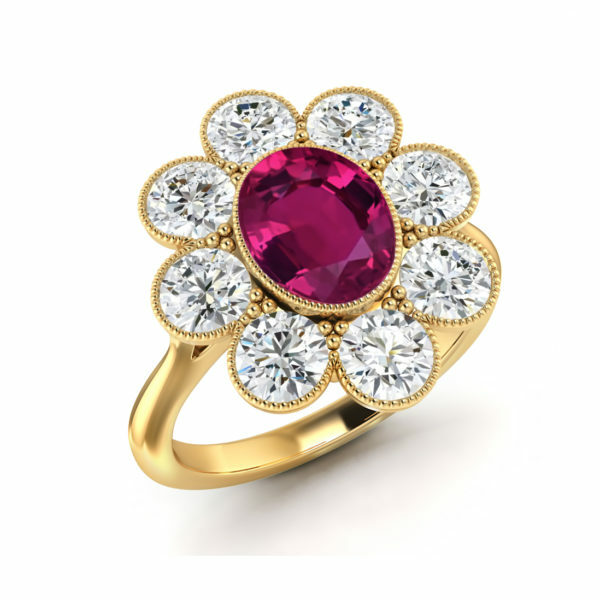 Rings with pink side diamonds or centre sapphires start from around £2,000 but may end up being priced at over £8,000. 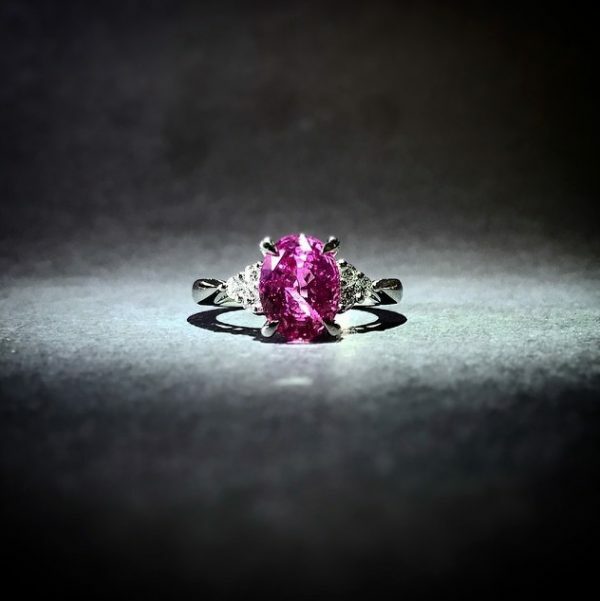 If your budget can’t stretch to include a pink centre diamond, but your heart is still set on featuring an element of colour in your ring, you have a couple of options that will lead to a stunning finished piece. You could include small pink, yellow or blue diamonds around the halo or pavé setting of your ring, which would carry a lower price point but still give you access to the much sought after coloured diamond finish. This double halo split shank with pink diamonds around the 1.8 carat centre stone was priced at circa £13,000 to £15,000. Alternatively, coloured sapphires as centre stones are a popular choice to use instead of coloured diamonds and carry a lower price point, which means your ring can be crafted with a larger coloured centre stone, for a fraction of the price of a diamond. To purchase a pink oval cut sapphire of a similar carat weight to this, you would expect to pay around £3,500, making sapphires a far more affordable alternative to a coloured diamond. Bespoke rings carry a small premium over our collection pieces because they take more time and effort to craft. Bespoke engagement rings carry a higher price point than collection pieces due to the sheer amount of extra work that must go into them. They are one-of-a-kind designs that need to be designed and tested before they go into production. Our bespoke service typically starts at £1,500 if using a gemstone or a very small diamond and are priced from £3,000 if using a centre diamond above 0.7 carat. 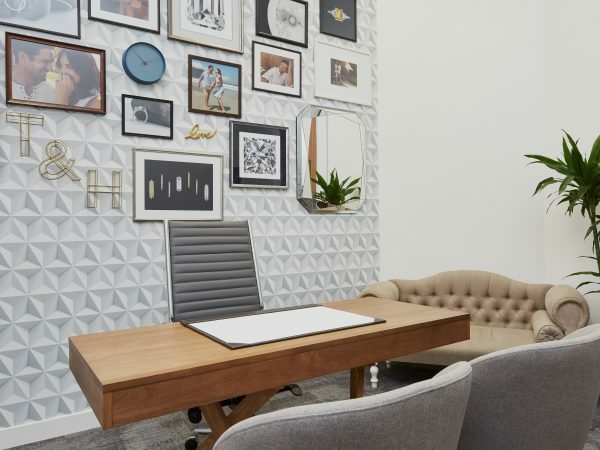 The bespoke fee covers the entirely unique design process, the materials, manufacturing, polishing and engraving services. So, as a smart shopper, how do I maximise the value I receive when considering the engagement ring’s cost? Go for a diamond that has a G/H colour and VS2 clarity. This combination looks stunning and does not carry the premium of higher clarities and colours. 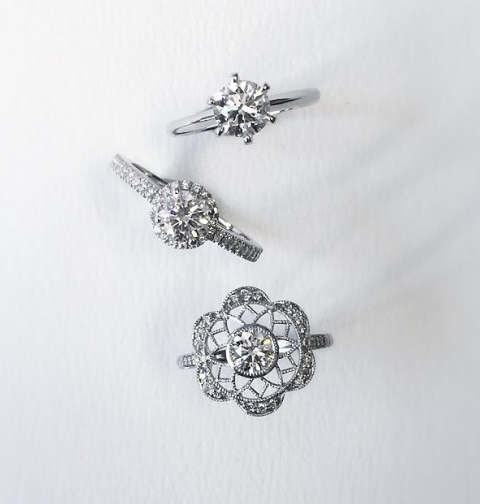 Choose a ring setting without side diamonds. Solitaire settings can be purchased at price points far below those of rings with side diamonds or accent stones. If the size of the centre stone is important, choose a fancy shape diamond or gemstone over a traditional round. 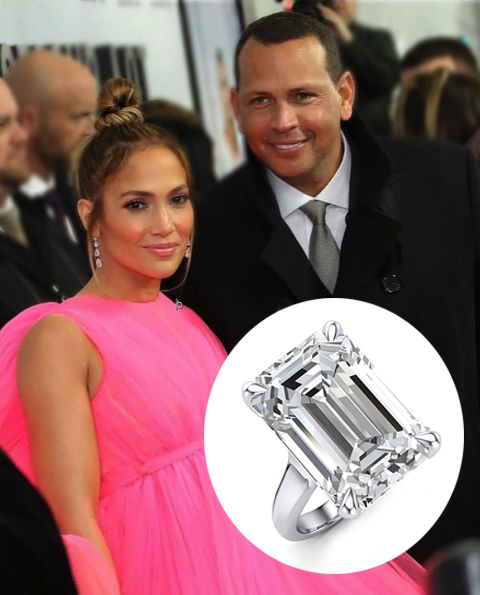 You can get fancy-cut gemstones at a lower price than a brilliant round diamond. How do our prices compare? At Taylor & Hart, we do not hold stock or have high overheads like most high street jewellers and with access to the largest diamond polishing companies in the world, our jewellery pieces and engagement rings cost between 40% and 60% less than the regular retail price. To receive a bespoke quote, tailored to your requirements, contact us now. * The prices in this post are valid on day of publication but prices may change and most often increase over time.